Arrington BIG GAS CNC Ported Heads are now available. These upgraded 392 heads include improved valve springs, retainers and locators and allow support of cams with up to .645” of lift. The BIG GAS heads are made of 356 - T6 Aluminum. 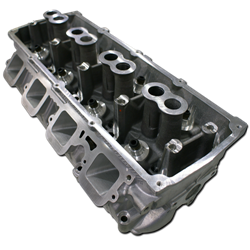 A stronger alloy along with noticable differences in the casting when compared to a standard 6.4L Apache head, make this set of heads perfect for that high boost engine. *Pre 09' 5.7L engines will require adapters to use the stock intake manifold.